Last Thursday, for the second consecutive year, Christmas came early for Greenbriar Children’s Center residents as members of the Women’s Auxiliary and the Laymen of the Berean Missionary Baptist Association delivered gift bags to the Center. During this event, plans were announced for the organization’s legendary wRap Off competition. 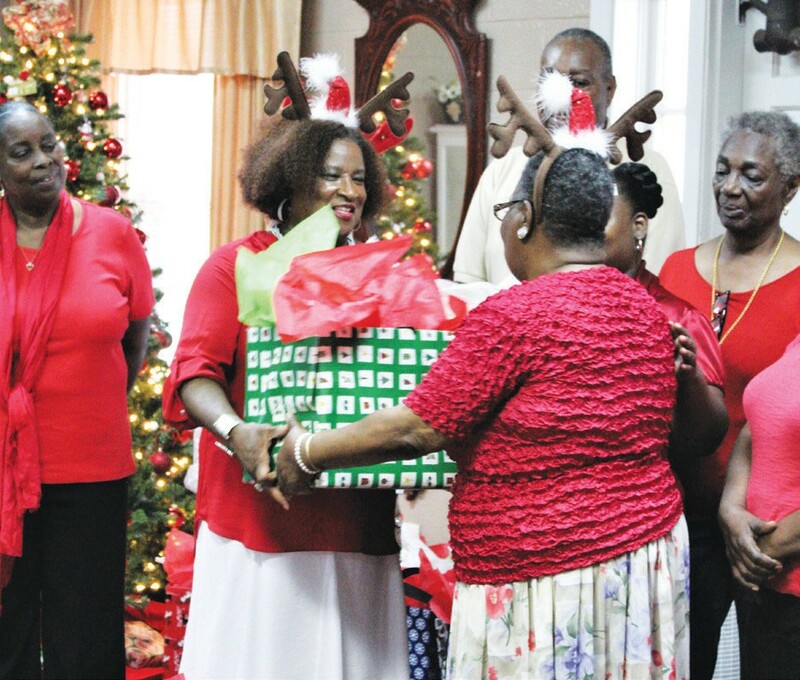 Participants of the newly re-energized wRap Off fundraising campaign attended the Christmas in July event where the date of the 2018 wRap Off competition was announced. Mark your calendars for Saturday, Dec. 8 when local ‘celebrities,’ politicians, and community leaders will compete in festive costumes with special performances to win prizes, and more importantly, raise money for Greenbriar. Awards will be given for best costume, best performance and most money raised. Sponsors are being sought to support this fundraising initiative. Individuals and organizations can choose a performer to participate, or Greenbriar can provide a talented artist to represent sponsors during the wRap Off. In preparation for yesterday’s donation dropoff, which benefits dozens of children, members of the Berean Missionary Baptist Association decked the halls of their Hopkins Street center with festival holiday adornments. This year the decorations were taken to a whole new level as Zelonia Williams with Celebrations Unlimited created a festive wonderland at Greenbriar. Greenbriar Children’s Center provides emergency housing for abused, neglected, runaway and homeless children ages 11-17, as well as residential and family counseling services, which lead to the healthy development of children and young adults and to the strengthening of families. The nonprofit organization’s services include emergency shelter, residential care, runaway/ homeless programs, independent living, family preservation, early childhood development programs, and Project Safe Place. Funds raised from the 2018 wRap Off campaign will benefit these services. To learn more about Greenbriar Children’s Center, please visit www.greenbriarchildrenscenter.org. Follow the nonprofit organization on Facebook and Twitter to stay up-to-date on plans for the 2018 wRap Off.